I love making bamia, but the time to prepare the fresh okra an be really consuming. Plus, it is not also readily available at the market. 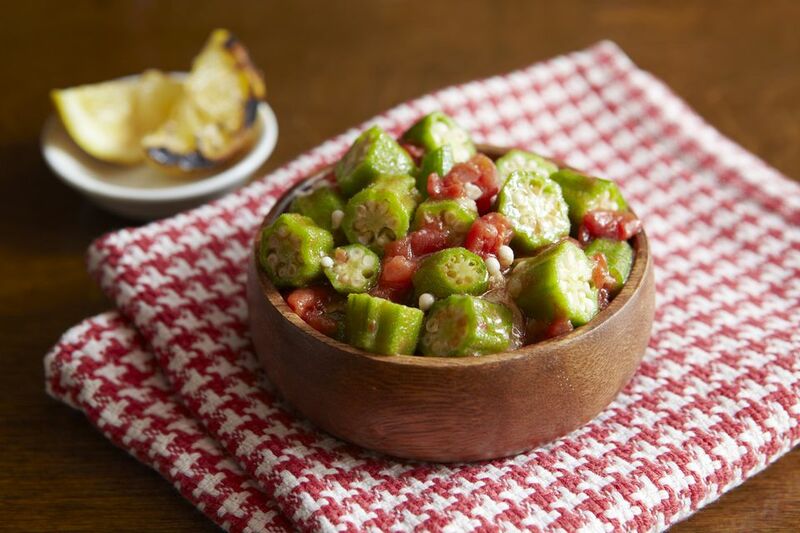 Using frozen okra in bamia really cuts back on the time, but does not compromise the flavor. Place stew beef, onions, garlic, salt, and pepper in a 3 quart pot. Add water to cover. Bring to a boil, reduce heat to simmer and cover. Simmer until meat is tender, about 30 minutes. When meat is tender, add okra. Once okra begins to become tender, about 10 minutes, add 1 can of crushed tomato/tomato sauce and mix well. Sauce will thicken as it cooks. Continue to simmer about an hour on low. Serve over cooked white rice, along with a salad, and pita bread.